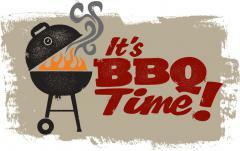 Retama Springs will be hosting its 4th Annual Community BBQ on Saturday, June 1st. This event is a great opportunity to visit with neighbors and let the kids enjoy the Nature Park. More information will be posted as it becomes available. Vendors interested in hosting a booth may email retamaspringscommunity@gmail.com to reserve their space. or...If you’d like to get in on the fun and volunteer your time, email retamaspringscommunity@gmail.com with your name and we’ll find the perfect job for you. The 2019 Annual Meeting of Retama Springs Homeowners Association will be on Thursday, April 25, 2019 at 6:00 p.m. at River City Community Church located at 3809, 16765 Lookout Road, Selma, TX 78154. This will be an excellent opportunity to hear a review of the Association’s activities, finances, and future plans.